Click here to order tickets through the Bowers Museum website. A modern messenger of her cultural heritage, Guo Pei has breathed new life into embroidery and painting traditions that date back thousands of years. Showcasing the finest of traditional Chinese craftsmanship while incorporating contemporary innovation and Western style, Guo Pei is a passionate artisan who wants to evoke people’s emotions and inspire people through her art. 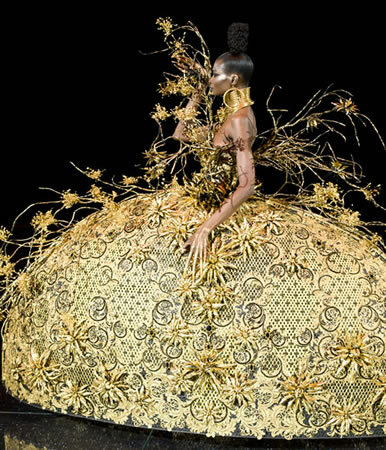 In the world of Guo Pei, fabric, shape and texture resonate with meaning. Inspired by fairy tales, legends and even military history, every creation tells a story and is a canvas for artistic expression, bringing beauty, romance and the designer’s imagination to life. They tell the stories which paintings and embroidery have conveyed throughout the centuries.